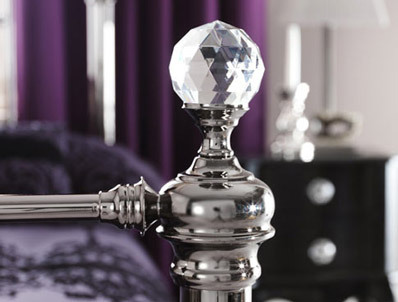 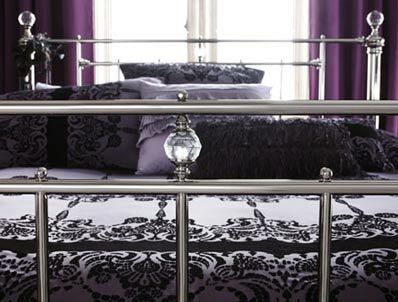 The Serene Clara bed frame is new and offers something a bit different from either ivory or brass as it has been finished in a black nickel colour and has elegant crystal finials. 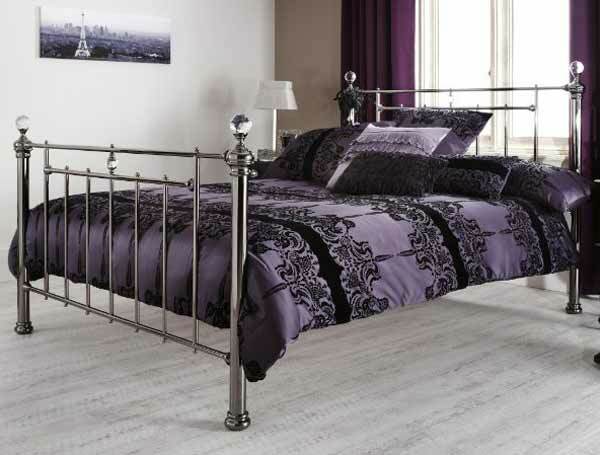 The Clara metal bed frame benefits from birch veneer sprung slats, crystal finials, polished black nickel collars and studs and looks fantastic. The bed frame is available in 4 sizes small double, double, king and super king size and is delivered flat packed for home assembly.